In this special report, Bill Bartholomew descends upon Shower To Empower to investigate the new mobile bathing, haircut and homelessness-support and outreach facility spearheaded by local philanthropist Bret Williams' Team Williams, House of Hope and The City of Providence. Speaker 2:0:41so excited here today to have the first showers and haircuts offered through the Sharon power mobile navigation unit. It's a 20 foot custom built trailer that offers to hot shower stalls, a private medical exam space for medical navigation services, and then a flexible space where services like haircuts can be offered, but were other support services can be provided as well as our outreach case managers can work as well and and really take it beyond just that initial basic need provision, but then continue to work with folks. And ideally eventually help them get into housing. Speaker 3:1:17Right. And with the housing crisis in Rhode Island, do you see yourself as sort of an intermittent phase for an individual who might be in a tough place right now? Or will, I guess what would you say to those critics who say you're empowering people to just live on the streets? Speaker 2:2:51perhaps? You know, we've been doing street outreach around the state for close to three years now. A lot of it's been concentrated around the providence metro area. Just that's where people, people typically ours, where a lot of the services are. Um, and so we've been sharing that the Sheridan power unit is going to be coming online today with our folks today. We, we've already given out six showers, made those available and we have a number of folks that had haircuts today. I think folks would be pleasantly surprised to hear that the first person that came to get a shower was a young woman in her twenties who has been living in her car, who has been unable to afford an apartment, um, and she hasn't had a shower in three days and she was getting ready to go to a job interview this afternoon, saw the information and stopped by this morning. And now she has not only the self worth and the dignity to enter that job interview, but you can enter it confidently. Um, and we also take care of her body at the same time. So I think folks are often have a lot of misconceptions about who is homeless and what the face of homelessness really looks like. And I think it was demonstrated by the first person that access the shower units. Um, I think would really surprise to them. Speaker 3:4:20local guy live in Narragansett, Rhode Island. And I met Laura at House of hope. It's been a great partnership, you know, quite honestly, we didn't know. I wish there wasn't a need for this, you know, it's, it's actually pretty sad kicking her off yesterday because we didn't have to do this, but we do a spend a night last fall out in the streets and talk to the people and you know, we did a lot of homework on this and it wasn't a, we're not enabling anybody. We're trying to give them a handout. No human beings. A lot of people brag about adopting pets and that's great, but it will help a human. I think that's what we should be doing and it's just, uh, took us over two years to get this thing done and we're really happy with the way it's going. It's still new and we're working the kinks out of it. But people keep through you today. I wish you could have a soft. Some of the expressions on their faces. You see their eyes light up. I came up with this idea. Speaker 3:5:22Actually I should say I didn't come up with this idea. I saw a video on youtube in London that was a barber who grabbed a pair of raise that bar raiser scissors, you know, calm and walked down old park and giving people experiencing homelessness here and there was a connection between them and you know, you could see a, at the end he put a mirror in front of their face and their eyes light up, you know, it gives them dignity and self respect and above all hope. So that stuck with me. And then I saw another video about an organization out west. It was, they put showers into a box truck down to a park and we'd given people showers and so why the hell can't we do this? Combined the two together. And Laura came up with the medical outreach and we're going to get these people in the system and hopefully this leads to employment and if we can change one person's life where they can get a job, it's has a multigenerational impact they're going to move on and hope for. Speaker 1:7:27for updates on this story. 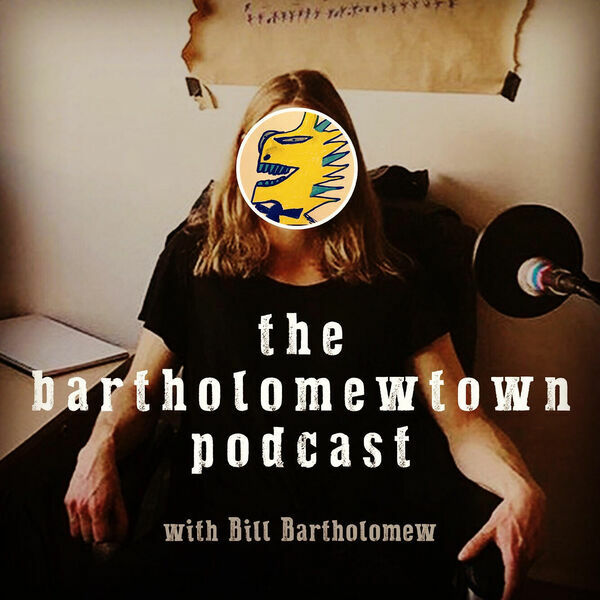 Keep listening right here to the Bartholomew town podcast in south Providence, Rhode Island. Bill Bartholomew for the Bartholomew town podcast.